Of all the psalms, this one feels most familiar. 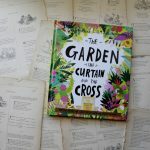 This is the one I recite to myself when I can’t fall asleep, the one I’ve taught my daughters to recite to themselves when they can’t fall asleep, the one whose images are comforting in an unfluffy way: David talks about The Valley of Death, after all, so this psalm is assurance for very real suffering. 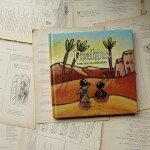 There are a number of good picture book versions of this psalm out there, but none that have made it onto this blog yet. 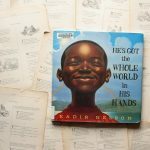 I don’t know exactly why that is, but until now, I returned every one to the library without feeling the need to review it. Barry Moser’s version is different. 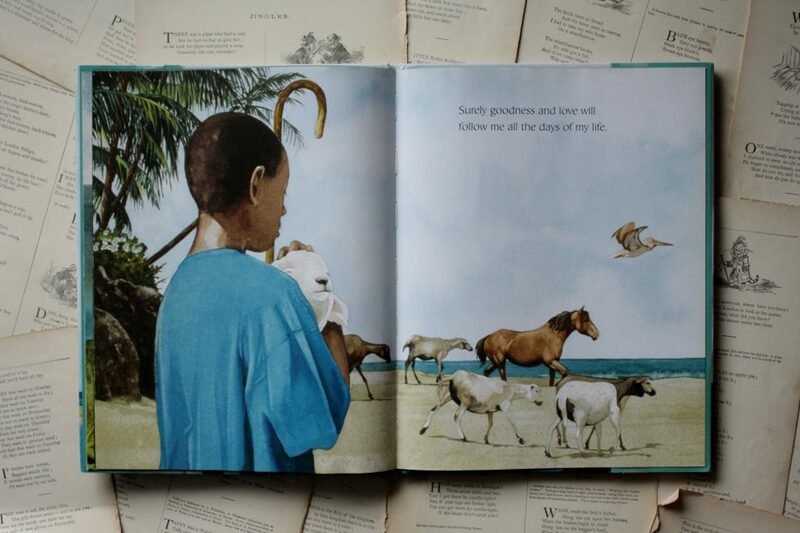 By following a shepherd boy through his day’s work, Moser takes a fairly standard approach to illustrating this psalm, but instead of featuring a Sunday-school David in short bathrobe and sandals, Moser models his shepherd on a young Caribbean boy. 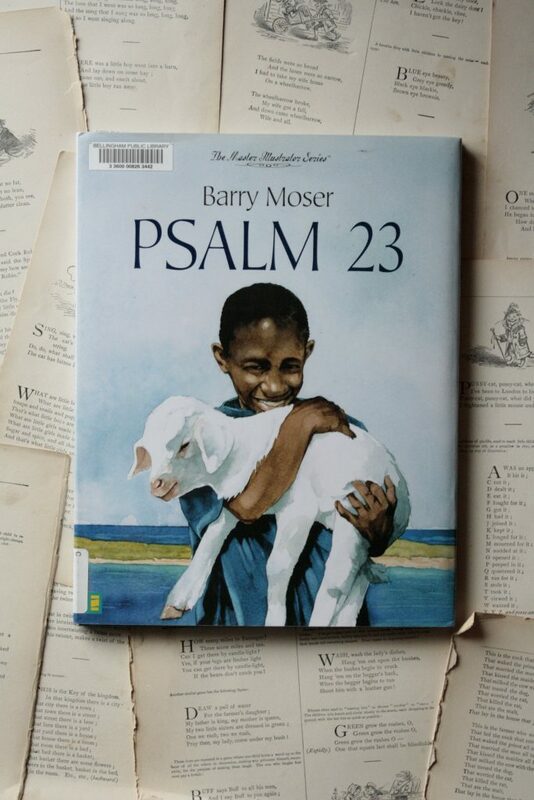 Moser’s shepherd wears modern day clothes, squints into the sun, and tends his sheep gently as the text of the psalm follows him from scene to scene. Putting these familiar words into a fresh setting made me listen closely as I read them to my daughters. It reminded me that the Lord is my shepherd, yes, but he is also their Shepherd. And your Shepherd. 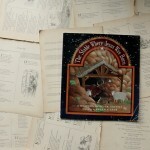 And the shepherd of the shepherds tending flocks near the equator. His gentle hand guides and comforts me in trial, but his reach extends even to islands in the Pacific, where the trees are laden not with prickly evergreen boughs but with slender palm leaves. His reach extends further even than that. The comfort of Psalm 23 runs deeper, then, when I realize that, though the flock of sheep he tends is vast, our Shepherd cares for us all. He knows not only my name, but yours too, and that of the boy Moser modeled his shepherd on. 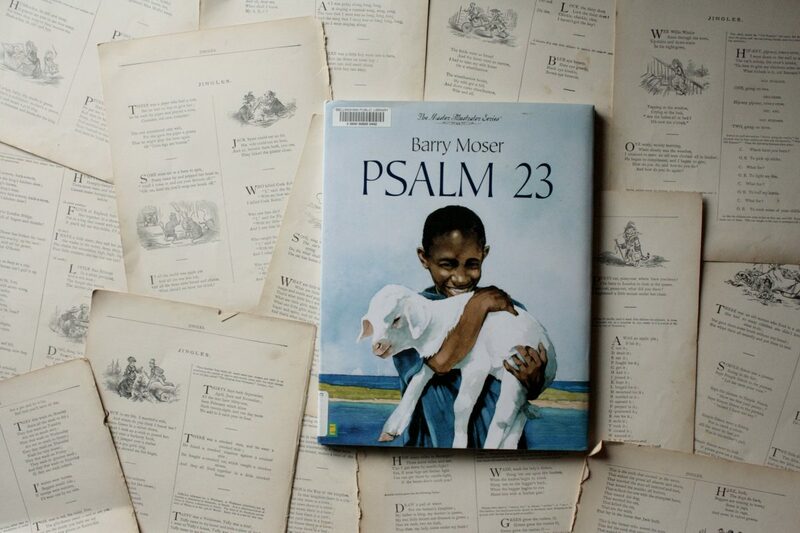 That is, I think, why Moser’s Psalm 23 connected with me more deeply than any of the other versions I’ve read. 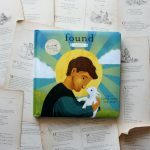 His illustrations are light-filled and beautiful, and they present Psalm 23 as a psalm for all of us, no matter where we live or what we look like. 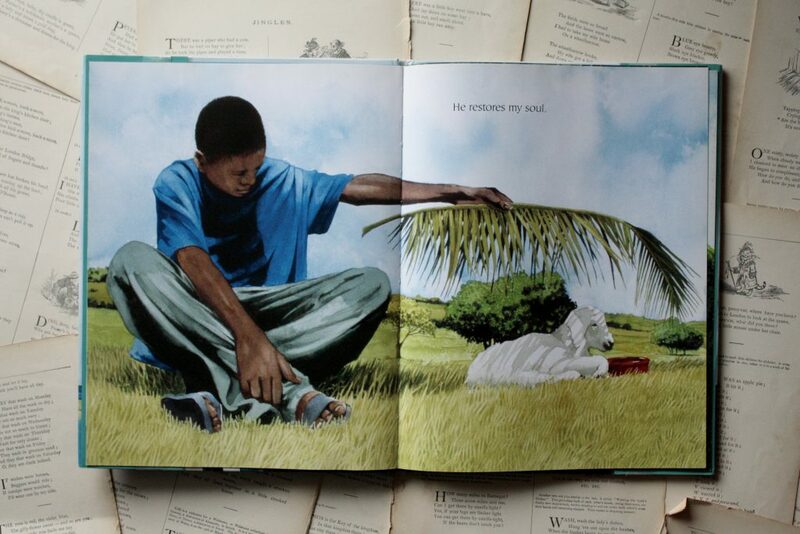 He illuminates the goodness of our Shepherd through the picture of one faithful young boy. 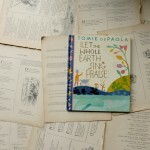 Speaking of Psalm 23 . . .
Did you hear that Sally Lloyd-Jones and Jago are working on a version as well? A happy dance here is perfectly appropriate.